Vancouver & Toronto-based Lighthouse Labs will take you from coding hobbyist to professional developer, and be the launchpad for your career. Based out of Canada’s most dynamic tech hubs, you’ll be immersed into full-stack web or iOS development through hands-on experience. 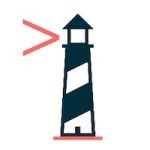 With the support of a brilliant team of instructors and mentors who view coding as the ultimate craft, you’ll join the ranks of over 500 developers in the Lighthouse Labs community. Our industry driven curriculum and rigorous education standards have created the ultimate result for our graduates: over 95% employment rate. The goal of our Web & iOS Development Bootcamps is to transform you into a professional, full-stack developer. You’ll come to understand coding logic, and learn how to think like a dev by building software from the ground up using industry-relevant technologies. Our program will provide you with mentorship, data-driven curriculum and a top notch learning environment that will launch you into your first junior developer role.